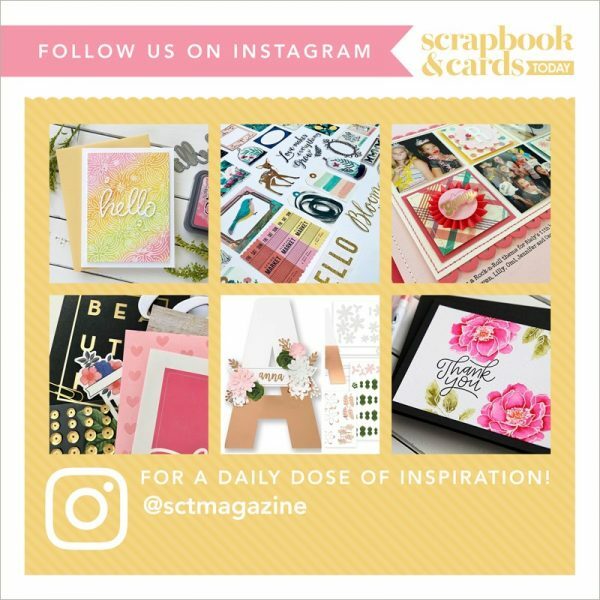 Cut a 6″ x 9″ strip of paper, score at 4.5″ and fold to create a card base. Punch 14 small stars, glue two together with a small length of twine between them, you’ll end up with 7 double sided stars for hanging. Write/stamp your sentiment on a strip of paper and mat that onto a second strip. Attach to the lower right side of your card. 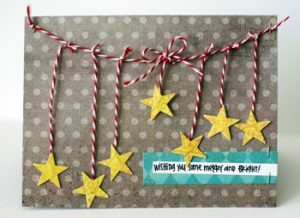 Cut a 7″ piece of twine, staple it across the top of the card and attach your stars on twine, making them random lengths. Be careful to not cover the words of your sentiment. Tie a bow at the top of one of the stars on twine.